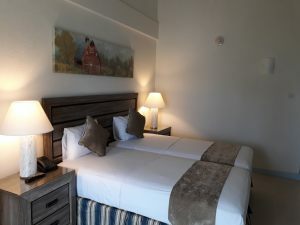 Our very cozy Standard Rooms are located on the 2nd and 3rd floors of the hotel over our restaurant. 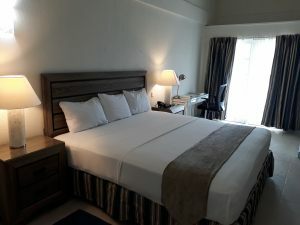 Facing our courtyard and Dover playing field, catch a local football or cricket game from the comfort of your own room. 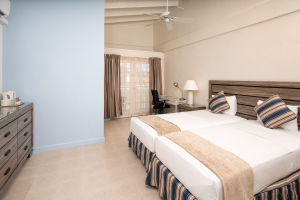 Standard rooms are just what you need to recharge after a long day of exploring our island! 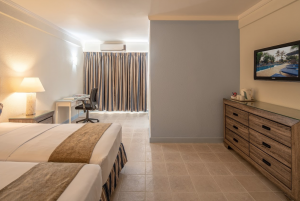 These rooms have been fully renovated. 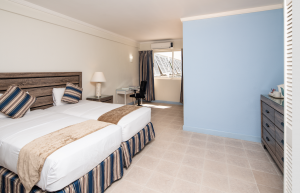 Rooms contain two comfy twin beds, or one double bed with a maximum occupancy of two (2) persons. Please note, Standard Rooms do not have balconies.